Warp - Warp the caster to said map co-ordinates. 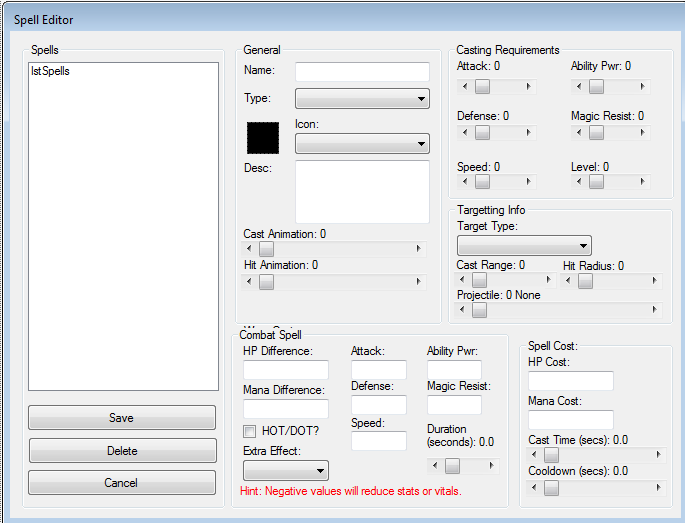 Self Target - Spells will target the user only, typically used for buffs and heals. Projectiles - Fire a projectile in the direction specified, you can make really cool patterns and interesting moves. Familiarise yourself with the editor: http://www.ascensiongamedev.com/community/topic/340-dev-blog-11032015-projectile-editor/ More on these bad boys later. Effects can be added to spells such as buffs/de buffs which last for a limited duration. Soon this will also include other effects such as stunning, stealth etc. Note: Projectiles can also be used on weapon equipment just like in older versions of eclipse. Wow, that's pretty well done. Can't wait to test this myself..
Do I see DASH SPELLS?!? Amazing work Kibz! Can't wait to make some epic spells! Wow the spell system is looking really cool. I'm just curious on how to setup a unique spell pattern? I didn't see anything in the spell editor for doing such things. Are you referring to projectile spawn locations, and how they move? 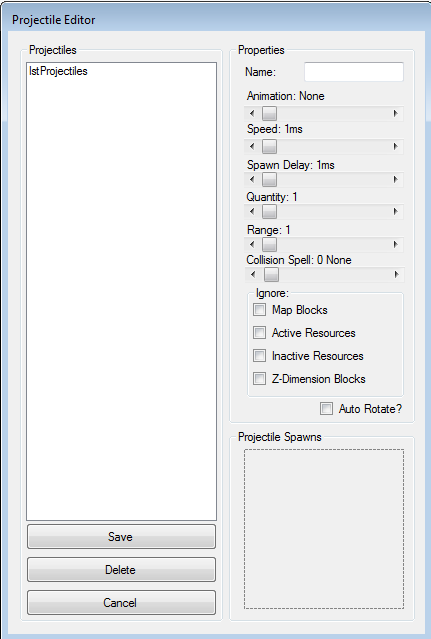 I added a link to an old blog post of the projectile editor showing how you assign unique spell patterns for your projectiles. Executes it in order. This way, you could make really advanced spells. This can be implemented by each person with "scripted" spells. Not everyone will have a need for this. I know I won't and it would just be a hassle to have to figure out how not to use it.